EAW025913 ENGLAND (1949). 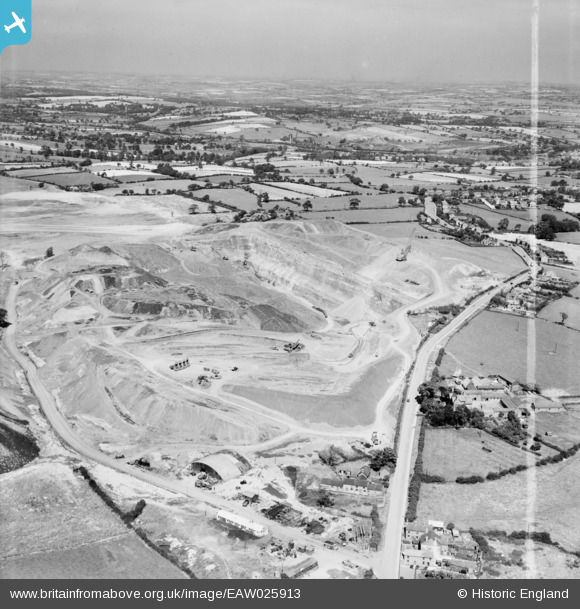 An opencast mining site adjacent to Holly Mount Farm and Carrington's Farm, Smalley, from the south-west, 1949. This image was marked by Aerofilms Ltd for photo editing. Pennawd [EAW025913] An opencast mining site adjacent to Holly Mount Farm and Carrington's Farm, Smalley, from the south-west, 1949. This image was marked by Aerofilms Ltd for photo editing.